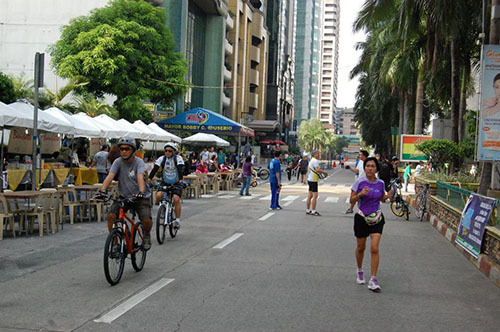 Every Sunday, run along one of the usually busy streets in the heart of the business centre - Emerald Avenue. This usually busy road is completely free of cars every Sunday in conjunction with Pasig City’s Bike, Health and Carless Day project. Take this opportunity to jog up and down Emerald Avenue, or you can do 1km repeats. The street is entirely carless from 6am to 6pm every Sunday.